Five, one hour online sessions with Kristen. 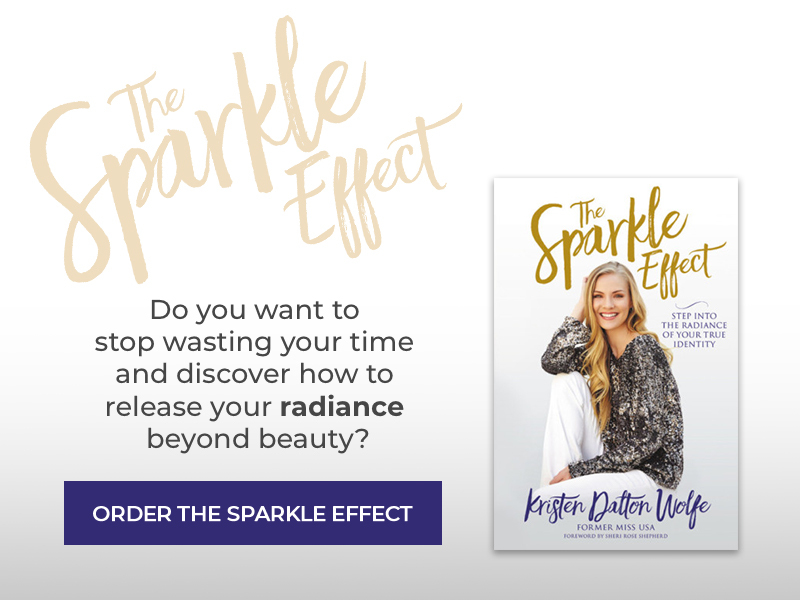 If you are a millennial woman preparing for a pageant, an interview, going through a relationship struggle or just want breakthrough in who you are as a woman of God, I’m here to help you win… from the inside out. Our time together will be tailored to your specific needs. When it comes to achieving your goals and being truly confident, there is one thing that will set you apart. It’s the invisible, yet powerful quality I call The Sparkle Effect. You get it through training for reigning. Whether you feel it or not, you are called and created to radiate. But your light might be hiding under layers of false beliefs about yourself, half truths, confusion, insecurity, people pleasing and hurtful experiences. In the Reign package, we will have two more sessions to fully round out your radiance training and learn how to confidently beam your new found breakthroughs in your purpose or competition. We will identify your blocks and triggers that ruminate within your inner person that hinder you from true joy and winning confidence. When your heart and mind are whole and free, your performance will naturally follow suit. We will take your interview to the next level when I teach you how to handle any question that comes your way, like a Queen. We will identify the God qualities that make you unique to this world and in competition and how to bring it to the stage. We will get clear on the essence of you and how to decisively choose styling, hair and makeup that allows your radiance to emanate. Get your journal, pen, an open heart and let’s go deep. And always have fun along the way!